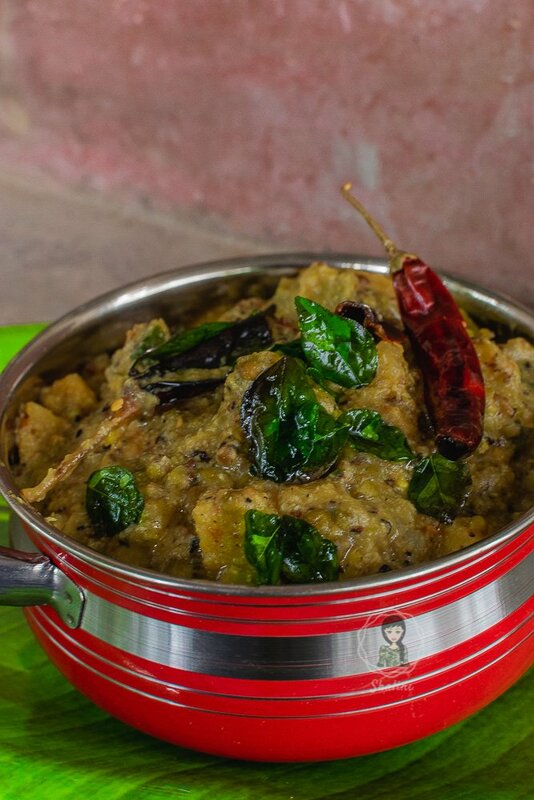 One of the main dishes in Onam Sadya, Mathanga Erissery is rich with the goodness of green gram and pumpkin. 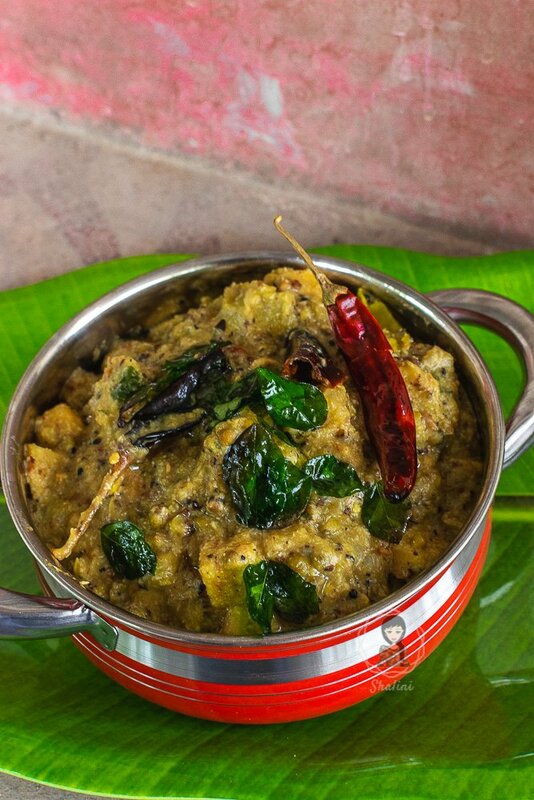 This traditional Kerala dish is a sure-shot winner for a side-dish any day. I have told you before, I was a picky eater as a child. I hated veggies of any form unless and until it was added in a bowl of fried rice. So, my Mum had to make her own version of the Chinese fried rice adding all those veggies which I loathed, including broccoli. Even now, until recently (read yesterday!! 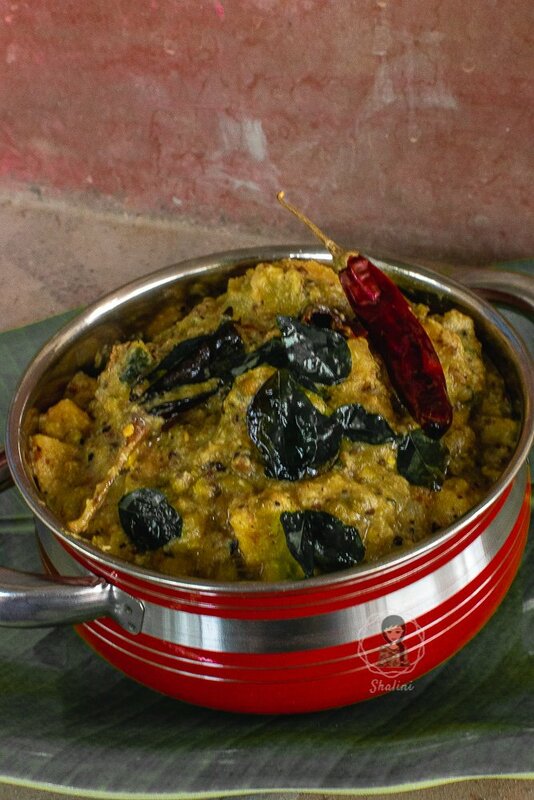 ), I could never make up mind to even taste this dish – Erissery. And now I know what I was missing all these years! Now, you can have 2-3 varieties of Thoran, Pachadi, and Kichadi. 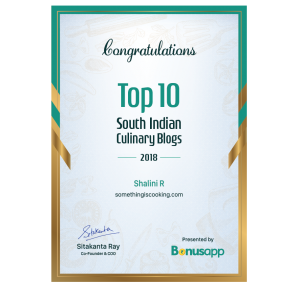 You can also include different Payasams or Kheer (pudding). Cook green gram in about 3/4 cup of water a pressure cooker for about 4-5 whistles. Once the pressure is released, add cubed pumpkin, yam, and raw banana along with slit green chilies, curry leaves, turmeric powder, Kashmiri red chili powder, about half cup water, and salt. Cook for another two whistles in medium flame. Meanwhile, coarsely grind grated coconut, garlic, and cumin seeds. Once the pressure is released from the pressure cooker, make a well in the middle and add the coconut mixture and about a quarter cup water. Close off the well with the yam-pumpkin mix. Cook for sometime. It does not have a curry-like consistency. There are two temperings for this dish. First, dry roast about half a cup of grated coconut. Add to the dish and mix well. Second, in coconut oil, add mustard seeds, curry leaves, and dry red chilies. Pour it atop the dish and serve hot with rice. You can substitute green gram with red cowpea beans and pumpkin with ripe papaya. Follow the same recipe. Cook green gram in about 3/4 cup of water a pressure cooker for about 4-5 whistles. Once the pressure is released, add cubed pumpkin, yam, and raw banana along with slit green chilies, curry leaves, turmeric powder, Kashmiri red chili powder, about half cup water, and salt. Cook for another two whistles in medium flame. Meanwhile, coarsely grind grated coconut, garlic, and cumin seeds. Once the pressure is released from the pressure cooker, make a well in the middle of the yam-pumpkin mixture. Add the coconut mixture and about a quarter cup of water. Close off the well with the yam-pumpkin mix. Cook for some time to attain a semi-solid consistency. The final dish isn’t liquidy and curry-like. There are two temperings for this dish. First, dry roast about half a cup of grated coconut. Add to the dish and mix well. Second, in coconut oil, add mustard seeds, curry leaves, and dry red chillies. Pour it atop the dish. Have you had Erissery? Have you made it at home? 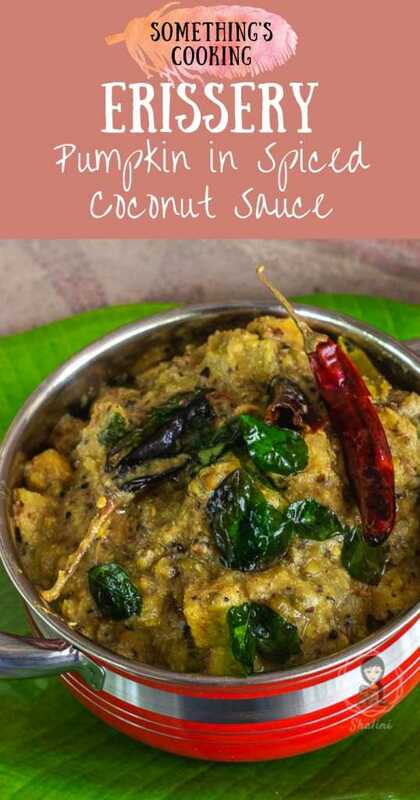 If yes, do you use green gram or cowpea beans for this recipe? Who could think a pumpkin can look so tempting. I am not a huge fan of this veggie, and make sure to add it up with loads of spices to add flavours. But this looks yumm in its own avatar. I had tried making Erissery this year during onam and it turned out well. It was over with the sadya and i think i should prepare it again. I love Erissery! I just use black eyes peas instead of the green gram though. I can polish a bowl full of it even though I’m not a big fan of coconut. I am a Tamilian who has lived in Kerala for 14 years and I love Sadhya and Erissery. And the word Erissery reminds of Pulissery which I simply love. I mix Pulissery with rice and have it in my office canteen whenever I have meals there. Pulissery is mild green in colour and I have rarely seen Keralites mix buttermilk or curd with rice. Oh, we mix pulissery with rice too. Honestly, it is one of my favorites. Yes, we drink buttermilk in the form of sambaaram though. I love Pumpkin. The addition of coconut is sure to take the taste of it to another level. Trying this next time I make pumpkin. I hope mine turns out as delicious as your photo looks! Seems like a simple enough recipe and so very healthy as well. A very interesting recipe of pumpkin with yam and plaintains. Thanks for sharing. You are reading Eat Pray Love seriously. From beef and chicken you are now into pumpkin and coconut and drumstick. Where have all non vegetarian recipes gone? This looks so yum yum… Thanks for sharing!